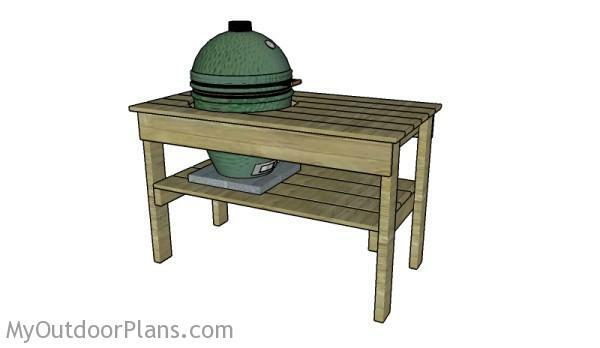 This step by step diy woodworking project is about large green egg plans. 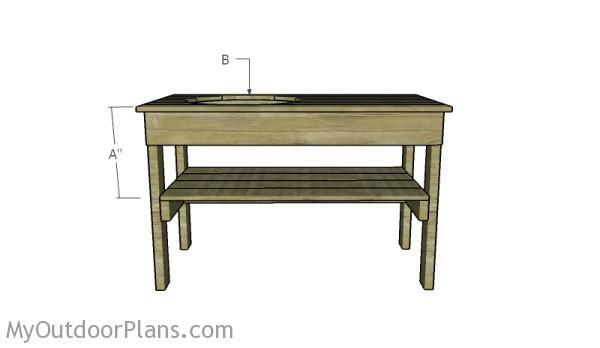 If you want to learn more about building a wooden table for your green egg, we suggest you to pay attention to the instructions described in the article. Don’t forget to adjust the project according to the size of your green egg. Make sure you take a look over the rest of plans to see alternatives and more projects for your garden. The first step of the project is to build the sides for the green egg table. Cut the components from 2×4 lumber. Drill pilot holes through the horizontal braces and insert 2 1/2″ screws into the legs. Make sure the corners are square, before inserting the screws. Leave no gaps between the components and align the edges with attention. 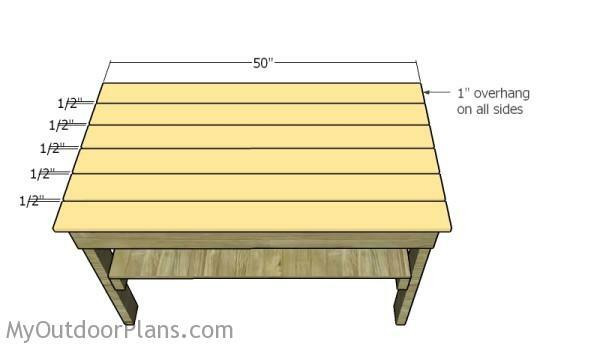 Attach the 1×6 aprons to wooden table, as shown in the plans. Drill pilot holes and insert 2 1/2″ screws. Make sure the legs are plumb and check if the corners are square. Fit a 2×4 support to the top frame of the table. Drill pilot holes through the aprons and insert 2 1/2″ screws into the support. Fit a 2×4 stretcher to the bottom braces, as shown in the diagram. Drill pilot holes through the braces and insert 2 1/2″ screws into the stretcher. Fit 1×6 slats to the bottom braces, to create the bottom shelf. 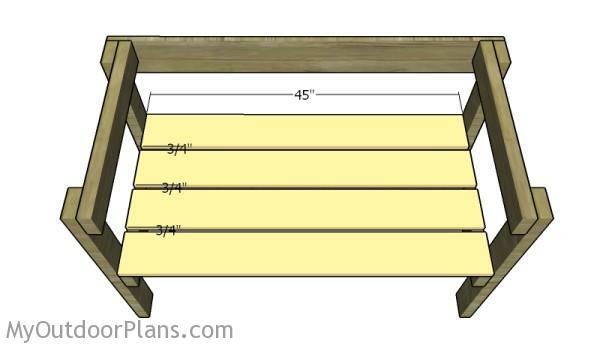 Place a piece of 3/4″ plywood between the slats to create even gaps. 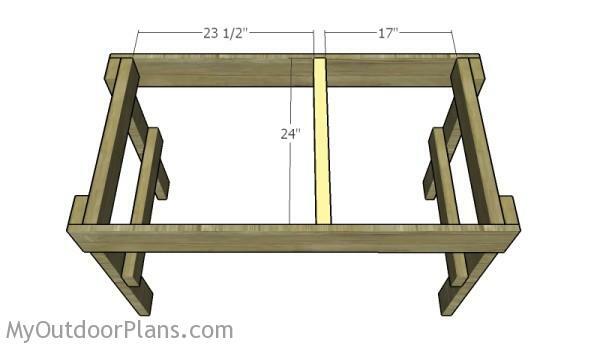 Use 1 5/8″ screws to lock the slats to the supports. 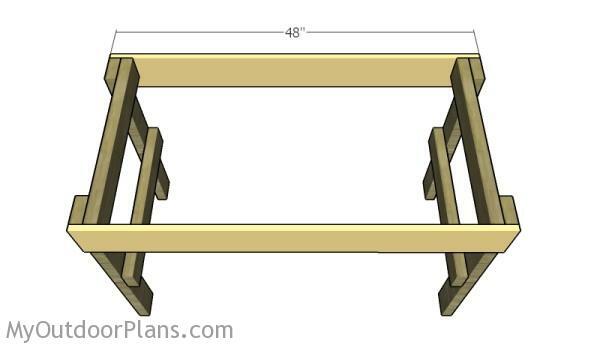 Attach 1×6 slats to the top frame of the table. Leave 1″ on four edges of the table. 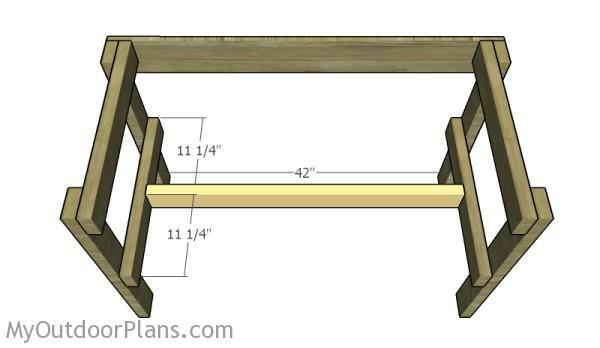 Place a piece of 1/2″ plywood between the slats to create even gaps. Drill pilot holes through the slats and insert 1 5/8″ screws. Round the exposed edges with a router. Mark the hole with a pencil and use a jigsaw to make the cuts. Smooth the edges with sandpaper. Use a router to round the edges of the hole. 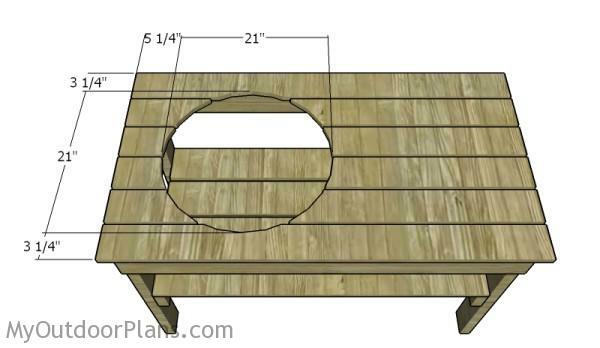 Actually, this table is designed for a large green egg. For this particular example, A is 15″ and B is 21″. 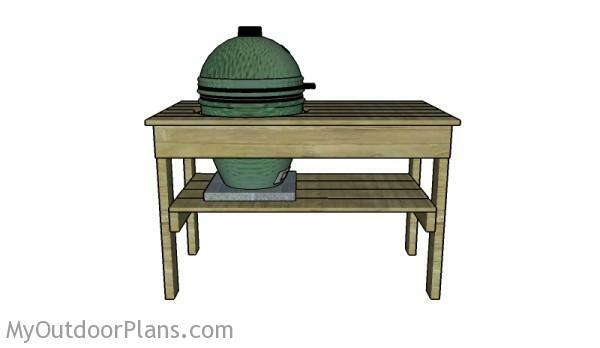 If you have a medium green egg, A is 13″ and B is 18″. For a XL egg, A is 12 1/2″ and B is 26 1/4″. Make sure you take the measurements before starting the actual project. 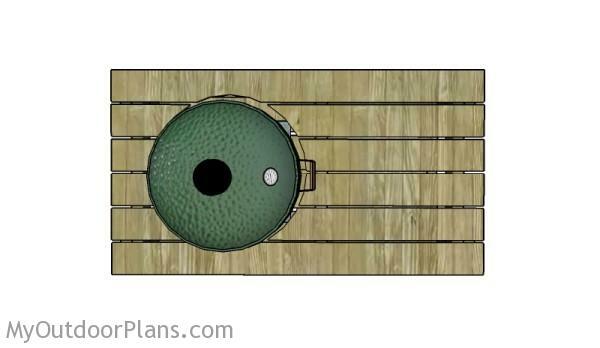 Place a paver under green egg, as shown in the plans. 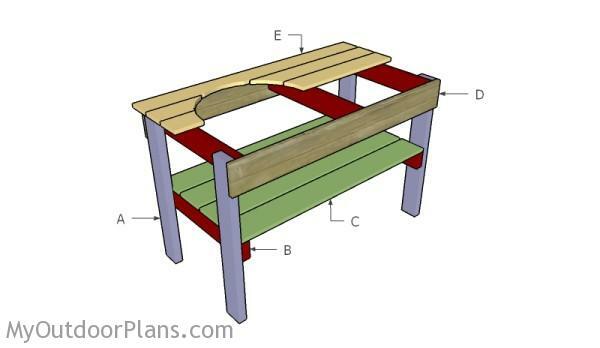 The compact green egg table seen from above has a basic design. If you want something more unique, you can make a few modifications to the project. This woodworking project was about large green egg table plans. If you want to see more outdoor plans, we recommend you to check out the rest of our step by step projects. LIKE us on Facebook and Google + to be the first that gets out latest projects. Please clarify! Measurement of “A”, is that from the top of the top to the top of the shelf? Measurement of A are the legs for the big green table. The tabletop goes over. Looks great, thanks for putting up. 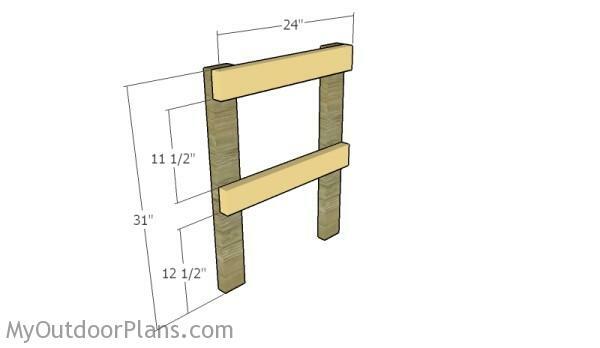 The slats overhang 1″ on both ends. If you want to make them flush, you can cut them at 48″. materials list says item E is 60″ for tabletop. Shouldn’t this be 50″ with overhang? That is correct. I’ve updated the list. Thank you.